I’m in a unique position to talk about the subject of guns in America. I was 10 years old when the man in the photo below put a .22 caliber rifle in my hands. (It was actually my second rifle—I was given a 30.06 at birth). Growing up in a rural America, it was a common occurrence. Being able to shoot a gun was like my bar mitzvah, it was part of becoming a man. Guns were always a part of my life. My family was here before the Revolution and that means before a Second Amendment. Many generations before me literally had to hunt for their families to eat. By the time I came along, they’d gone from killing an animal to put food on the table to selling being a hunter as sportsman (Doesn’t the other team need to know there’s a game before it’s a sport?). The gear was pretty crazy even back then. 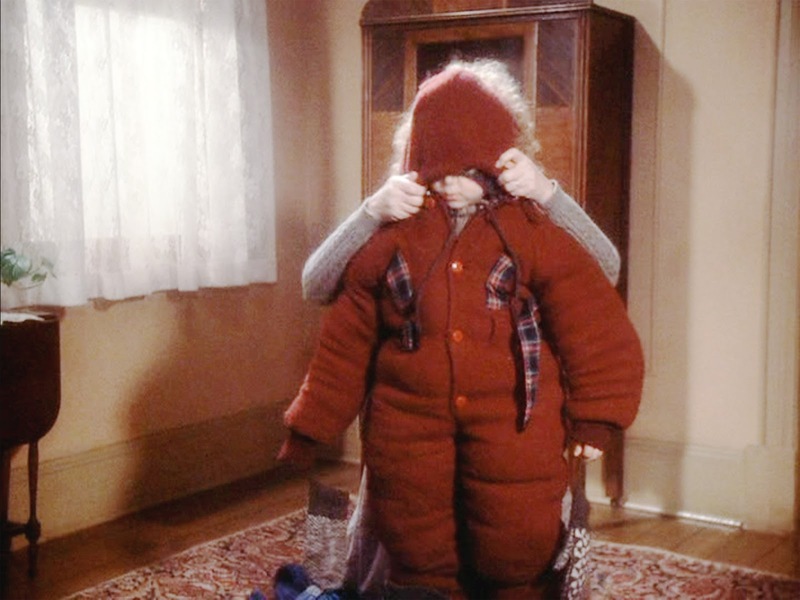 I would stuff myself into a heavy orange jumpsuit/coat until I was a cross between a traffic cone and Ralphie’s little brother Randy from A Christmas Story. We weren’t carrying weapons of mass destruction like the AR-15, the gun of choice for mass casualties. No. It was a rifle that had a bolt action, which in my case meant I had to pause between shots. I had to pass a test before getting my hunting license at the ripe old age of 12. And it was some of the only bonding time I ever had with my father and my grandfather. I treasure most of those memories. I remember talking to my dad in adulthood about gun laws. He liked President Obama personally, but he drove truck over the road and spent a lot of time listening to talk radio. He was never afraid, or would never admit to being afraid, that President Obama was going to try and confiscate our family arsenal. But he was concerned about the undefinable “slippery slope.” He didn’t want mentally ill people to have access to guns, did’t think violent people should get them either and he certainly didn’t want someone who made it onto a watch list to be able to walk into Wal-Mart and buy a gun. The problem was, like so many who lived through Watergate and other government scandals, he didn’t trust politicians to make laws that could stop those things from happening without infringing on his own ability to own guns. It was irrational, but fear often is. Dad didn’t live to see 332 mass shootings in 2015, or similar numbers in 2013 and 14. He didn’t see my 20 year old cousin with a history of depression put a pistol to his head and take his own life. He did see the two criminals take my high school friend out in the woods and put more than a dozen bullets in him with stolen guns that were unsecured. Not long before he died, another father, who reminded me of him, accidentally killed his 7 year old son because his gun went off as they were getting in their pickup truck. Just Google “dad kills son” and you will cry all day. Guns, even in the right hands, hold the power to snuff out a life whether you’re in the Appalachian Mountains—where I grew up—or on the streets of Chicago, IL, and frequently intentions don’t count for much. This reality and my background of growing up around gun wielding, beer drinking, chain smoking rednecks who never hurt anybody led me to this conclusion: where things went wrong is when local governments got a hold of gun regulation and the federal government abdicated their responsibility to the safety and well being of their citizens. The second amendment arose, in part, because the majority of the Founders were against having a standing army. Additionally, we lived in a country that looked very different geographically than we do today. Travel was difficult and law enforcement was insufficient—like it can be today in rural America. 1) Background checks should be as quick as credit checks. People should be able to get confirmed as eligible to make the purchase, make the payment and pick the gun up 3 days later. The 3 day waiting period can be an effective “cooling off” period. 2) Appealing a denial to purchase a gun should be inexpensive and simple. If a correction is necessary, all fees should be refunded. The purpose is to keep guns out of dangerous hands, not to deny the right of law abiding citizens to defend themselves. 3) A gun safety course (which would include firing a variety of guns under the supervision of a trained instructor) should be mandatory. By mandatory, I mean the federal government should develop minimum standards and let the states go from there. 4) Transferring a gun across state lines should require a permit. States have to be able to reserve the right to refuse to allow guns into their state. State sovereignty isn’t absolute but laws regarding safety, such as traffic laws, drugs, alcohol and guns should be honored. Gun laws are only as strong as the neighboring state’s weakest gun laws. 7) Individuals should be able to sue gun manufacturers when safety is ignored over profits. The courts are capable of sorting that out and lawsuits, while burdensome, drive innovation—if for no other reason but to prevent the next lawsuit—see corporate scandals where companies that violate rights or laws become leaders in defending rights and developing effective policies. 8) The following categories of people should be banned from purchasing a gun in every state: All persons convicted of a violent crime, anyone under a restraining order for violent behavior, anyone deemed by a psychologist to be a threat to themselves or others (a second psychologist could remove this but would have some level of liability), anyone on a terrorist watch list. Again, the appeals process should be made available, low cost and if an error was made, costs recouped. Law abiding citizens, properly trained how to safely use and store weapons to protect themselves and the public, have a right to protect themselves from armed, dangerous people. Much can be done with writing punitive consequences for irresponsible behavior, such as fines or even jail time for reckless endangerment if a child is killed by a gun in the home that is left unsecured. This will promote safer behavior like properly storing guns and ammunition when the gun isn’t being used. Finally, I’ve come to the conclusion that gun control advocates should stop attacking the National Rifle Association (NRA). Their executives are like modern urban terrorists. They hide among the people. You can’t attack them without it feeling as if you are attacking everyday gun owners—their members. It’s time to name the gun manufacturers and target their individual behaviors. The NRA feeds off of attacks. It’s time to starve that beast. This conversation will continue.